Winners at this year’s Orkney Sports Awards. 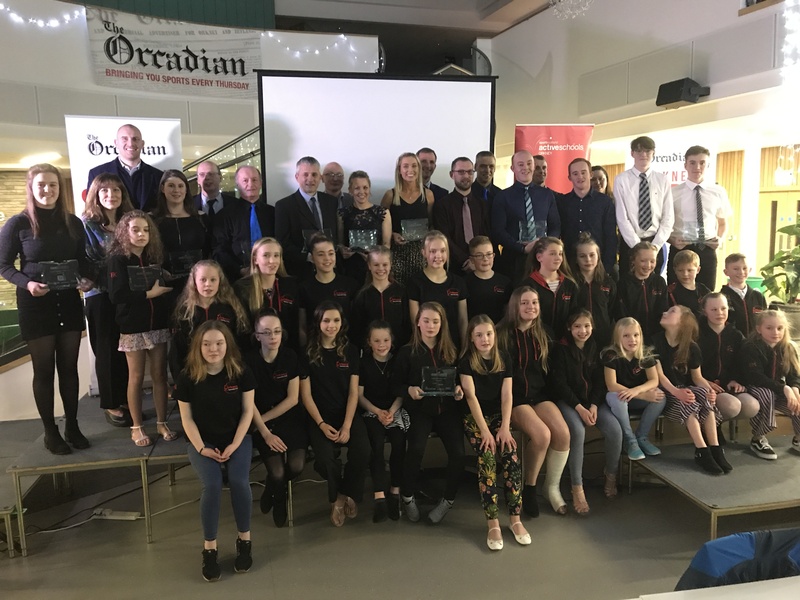 The county’s sporting elite turned out in style at the annual Orkney Sports Awards, sponsored by The Orcadian, this evening, Friday. The ceremony, at Kirkwall Grammar School, saw netballer Sarah MacPhail crowned Orkney Sportsperson of the Year. “I’m so shocked,” she said, as she accepted the accolade. Young Sportsperson of the Year — Andrew Torbet. For full coverage of the awards, pick up next Thursday’s The Orcadian.